Seafood comes with some serious health benefits. It’s high in protein, amino acids, vitamins and heart-healthy omega-3 fatty acids. Omega-3 fish oil has been linked to a variety of benefits, including better brain function, inflammation prevention and lower blood pressure. 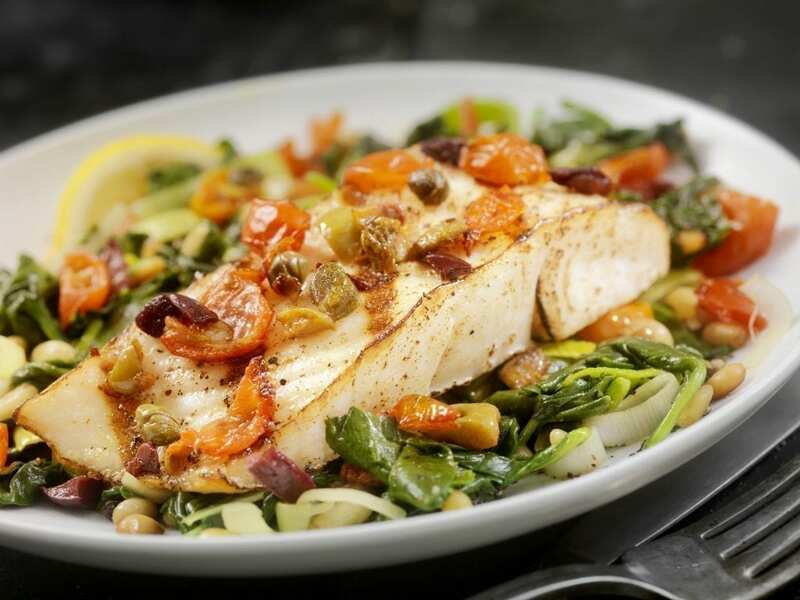 Get in a new groove this year, and make fresh fish the focus at dinnertime. If you need some inspiration, here are some delicious recipes that won’t leave you wallowing in regret the next day. Mix the tuna with the vegies and sauces in a bowl. Spoon about ¼ cup mixture onto each lettuce leaf. For some crunch, garnish with chopped peanuts. It’s hard to eat healthy every night when you’re on a whirlwind schedule. But this next recipe takes just 15 minutes to make, and it’s got a serving of veggies built in. *Sauté the fish in olive oil in a large, nonstick pan. Sprinkle salt and pepper on top. On medium to high heat you should only need five minutes per side. You’ll know it’s done when the meat flakes easily with a fork. *Put the fillets on plates. Add a teaspoon or two of olive oil, the tomatoes and garlic. Sauté for three minutes. Add the vinegar and cook a minute or two longer, until the tomatoes start to burst. Toss in the fresh basil and a dash of salt. Stir. Dish the balsamic tomato sauce onto your fillets, garnish with feta, and serve. This is a simplified version of the classic Italian seafood stew. The vegetable base can be made ahead of time and frozen. When ready to serve, simply thaw and stir in the fish, crab, shrimp, and clams to finish cooking. Heat oil in a large pot over medium heat. Add garlic, red pepper flakes, onions, fennel, and bell peppers and cook until softened. Stir in tomatoes, broth, wine, tomato paste, oregano, and thyme and bring soup to a boil. Reduce heat to medium-low, cover, and simmer for 25 minutes. Stir fish and crab into pot and simmer for 5 minutes. Add shrimp and mussels, cover, and simmer until shrimp are just cooked and mussels have opened, about 5 minutes more. (Discard any unopened mussels.) Stir in basil, salt, and pepper and serve. Adapted from The Daily Meal.